You can find all kinds of interior designs inside RVs, but none are quite like those with a vintage-style theme. 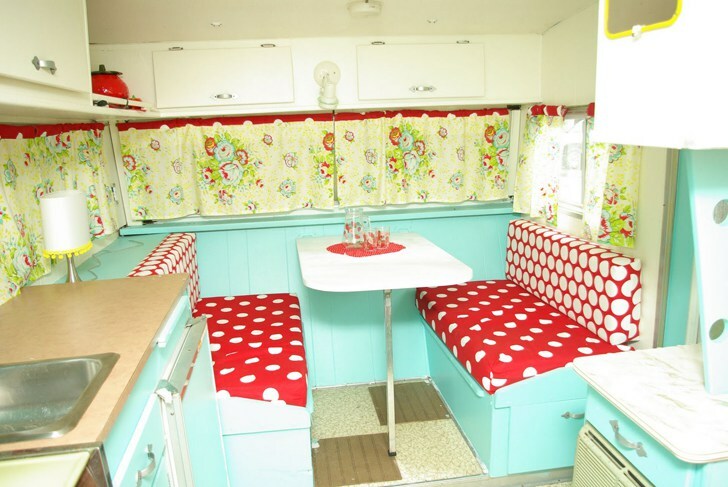 This small RV in particular has a ’50s-style renovation that is too adorable to not admire. They left the stove the original color, and the walls and cabinets a beautiful shade of aqua blue – a perfect choice to match with the bright yellow items in the kitchen.